All information about the town of Tossa de Mar. Discover a mountain of activities to do. Along the bay of Tossa there are a large quantity of beaches where it is possible to scuba dive and snorkel. From the main beach and also from varios smaller beaches. Cristal clear and calm waters with very good underwater visibility . 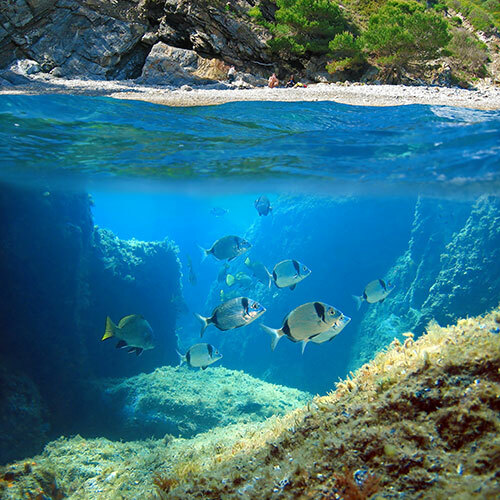 For example, the ‘Mar Menuda’ is one of the best scuba diving areas in the Costa Brava. You can make a scuba dive or snorkel ‘baptism’ with a large variety of excellent specialist centres to chose from. Tossa is internationally known in the heart of the Costa Brava and incomparable to any other area. 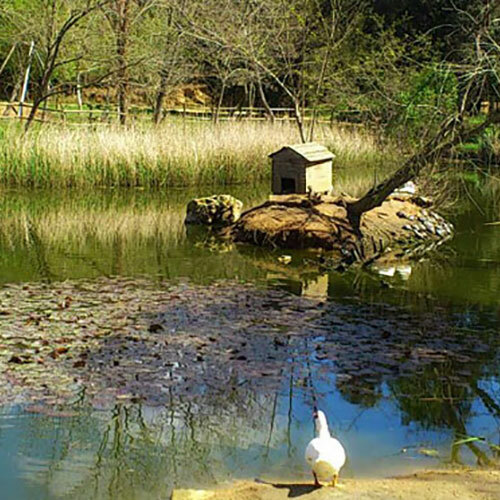 Park Sa Riera is a public ‘green belt’ area which extends for about 5 hectares, situated in the area of Tossa’s river about 500 metres from the urban centre of the town. 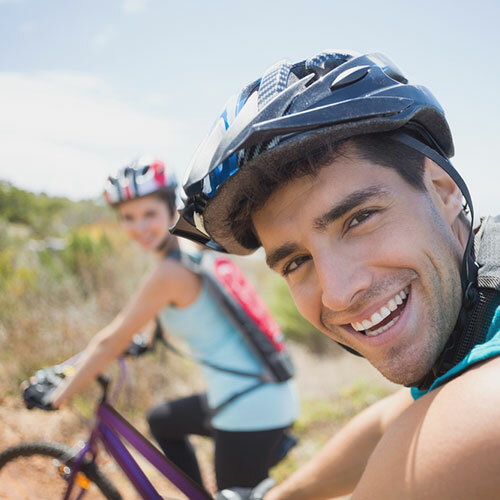 At the park we encounter different atmospheres forming diverse environment of great value to the natural countryside , offering a multitude of opportunities to walk, rest or family time, it is also possible to enjoy cycling. 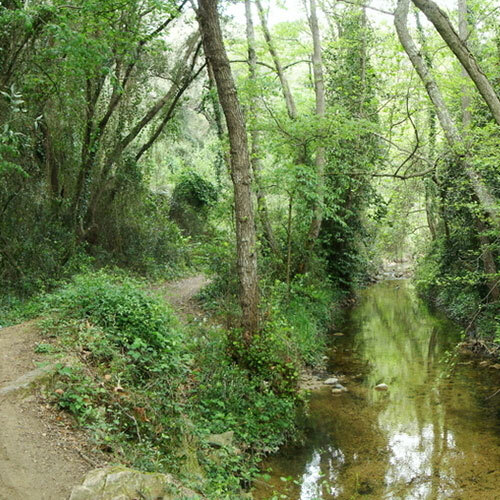 We find typical mediterranean forest vegetation dominated by evergreens, cork and pine trees. Tossa has always been a family orientated resort, providing a wide selection of entertainment for children and families. Water sports such as water skiing with small boats. 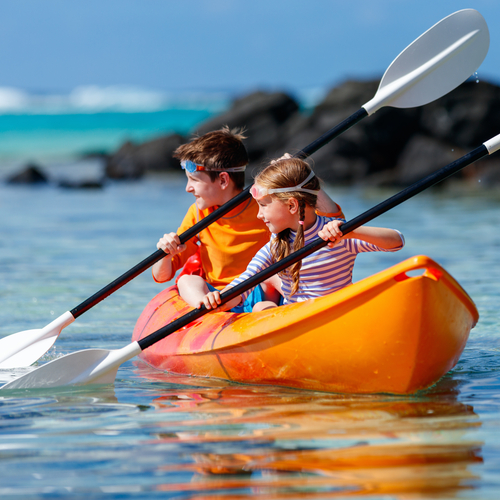 Apart from having a wide range of water activities you can also rent bicycles for small excursions around the village, exploring a number of play parks with enclosed areas for infants and private play areas in hotels and restaurants. Whats more Tossa is not far from both water parks, Water World and Marineland Catalunya. Download the flyer for the routes of “La Selva” here. 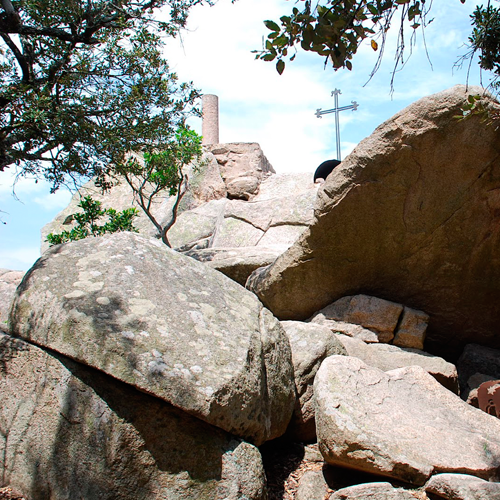 The ‘Puig de Cadiretes’ is a route totally mountainous in the centre of the ‘Cadireres’ mountain range. Countryside dominated by mediterranean vegetation which enables us to enjoy the incredible panoramic views of the interior coast. which offers an excellent perspective of a good part of the region and the surrounding areas. A hard route, with steep slopes. Well recomended for the more daring as the descent can be dangerous. The ‘Planes de l’Aromir’ is a route that passes through the ‘Cadiretes’ but less demanding and alternative routes less demanding, flater and easier to pedal, that enables you ti regain strength. Every now and then the paths can be completely blocked by the vegetation of the literal mountains which give way to excellent panoramic views of the coast. Aiguafina is a route more accesable to all users. It is easier to access from Tossa de Mar and the diference in levels is minimal and the countryside is mixed with many crop fields, mediterranean forests of river vegetation and rivers.